Ho ho ho! 'Tis the season to be jolly Fa la la la, la la la la! And all I thought I won't come home for the first time due to the busy schedule of our training. But thank God, we were granted to have a one and a half week break - a much-awaited break to be more precise. And as my scheduled flight to Davao drew nearer, I get excited and giddy, knowing that I'd spend the holiday seasons with my family, friends and to a place where I truly belong. 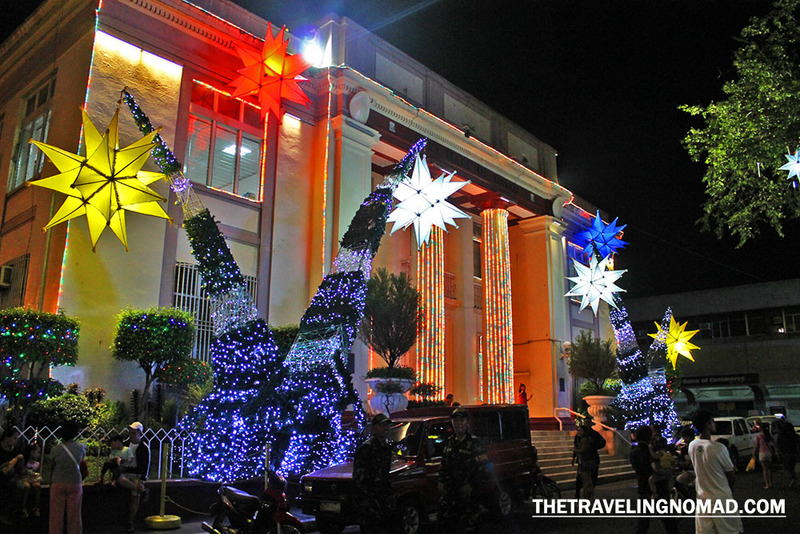 Unlike any other cities in the Philippines, where most Juans lit up their place by either substandard christmas lights or prohibited firecrackers (in which these two cause injuries and accidents), Davaoeños celebrate it in a peaceful and a more meaningful way. 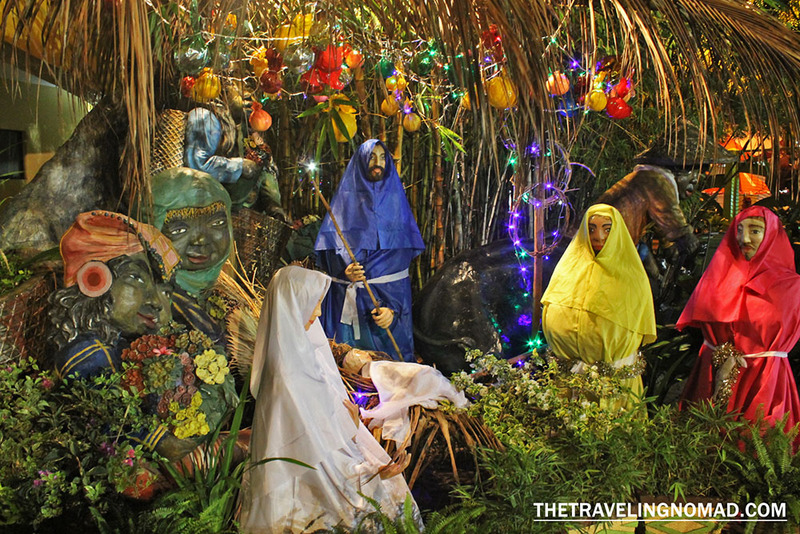 Pasko Fiesta is a month-long celebration that obviously celebrates the birth of our Savior, Jesus Christ, the unicohijo of Papa God who was conceived by the power of the Holy Spirit. Even if I stayed in Davao for the longest time, this was actually my first time to celebrate this event! 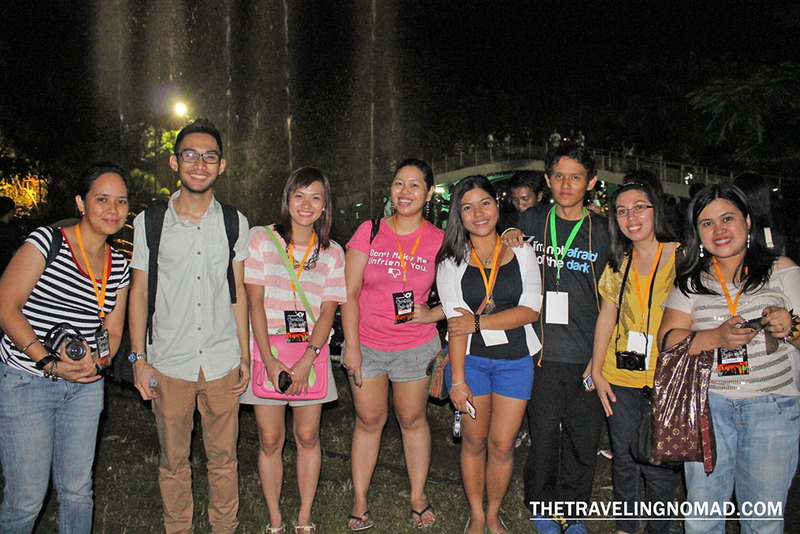 The program started with a parade at around 6PM at Roxas Avenue, in front of Ateneo de Davao University. There, I met up with my blogger friends. It was great to see them again!!! Kids groove to the beat, some of them didn't do their best. I surmised they were just forced by their stage moms who were walking beside them. I find it cute and adorable though (HIHIHI). 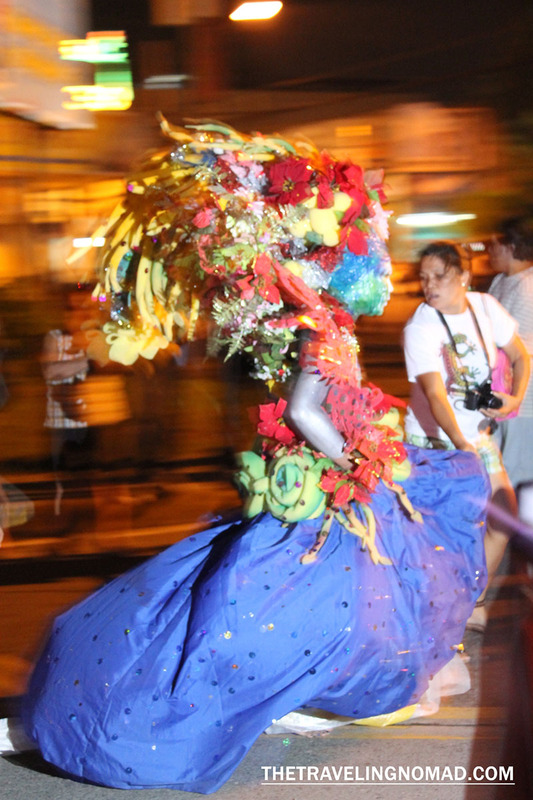 Ladies and ladies wanna-be strut the 'runway' with their intricately-designed 'national' costumes. We walked from Roxas Avenue to People's Park despite being sick. Awts! 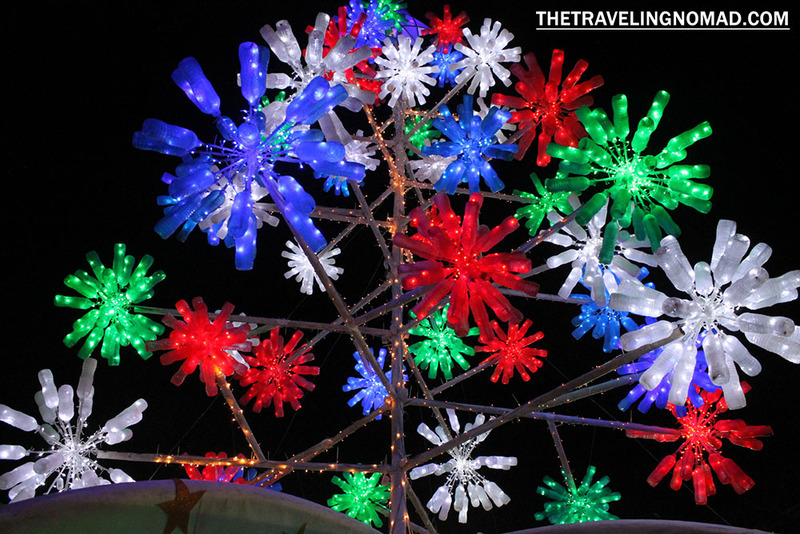 The park was filled with lights and christmas trees, in which are made of recycled materials. Pretty cool huh? Talking about being innovative and creative! Christmas Tree made up of recycled bottles! Then the most awaited part of the photowalk - DINNER! There were barbeque stands in almost every corner of the streets. We ate dinner at Hudyakaan near Rizal Park. I miss eating pork, liver, gizzard and chicken isaw barbeque! Nom nom nom! 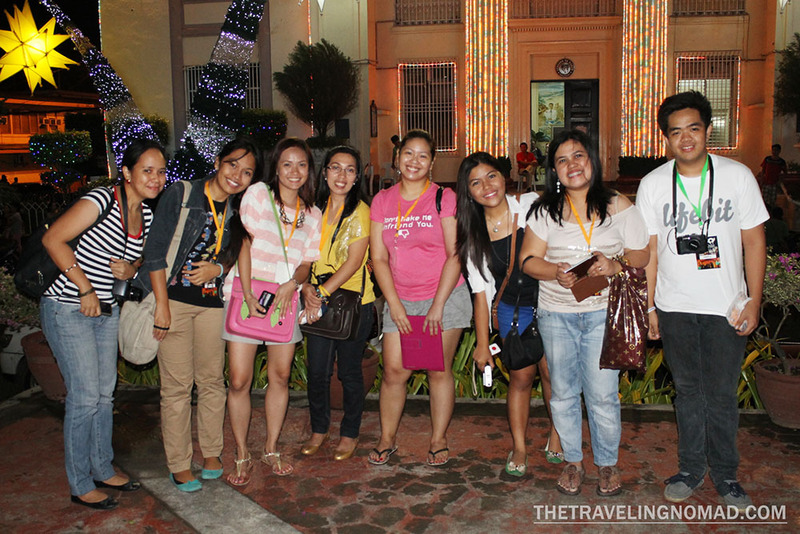 We also visited the old city hall of Davao too! Too bad we didn't have the chance to visit Mana; lights weren't turned on during that time. Insert sad face here. Thanks Mark for inviting me for this Christmas photowalk! True enough, it's great to be back home. Yahoo! It's great to see you again, guys! wow! festive na festive ang Pasko sa Davao. Great pics here bro. 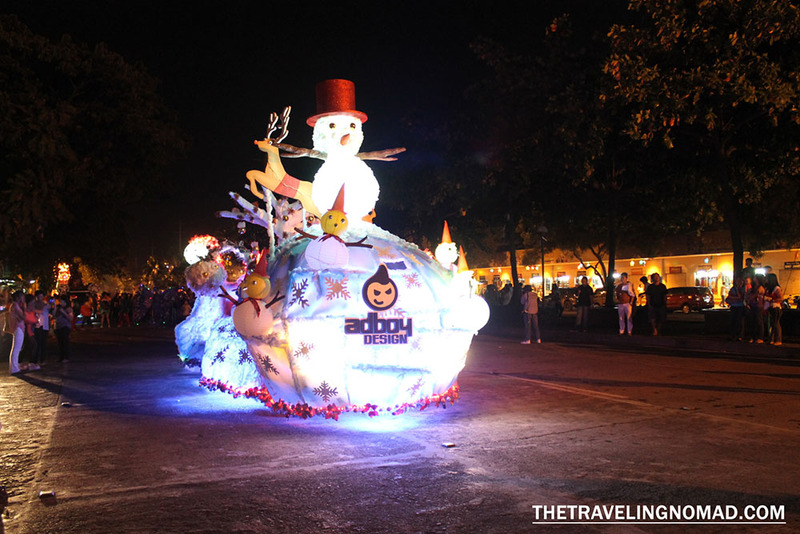 The Christmas celebration looks real festive in Davao with Parades and all the lights and food to appreciate. wow.. ive been there at People's Park last yr. the hometown of my mother is Davao. ISAAAAAWWWWW... miss ko na yan! Filipinos are truly creative and artistic. Christmas is not to be expensive, a piece of junk can turn into a great Christmas decors, ornaments and floats. 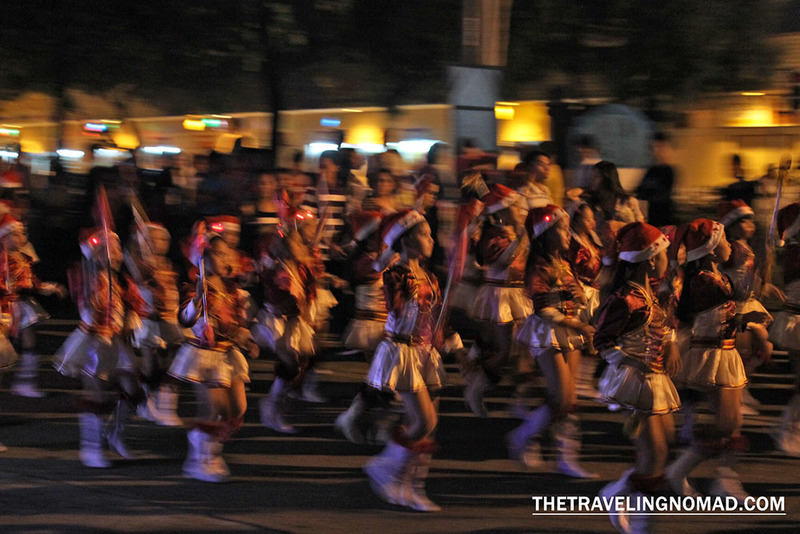 The Pasko Fiesta in Davao seems to be a great celebration! The parade looks very colorful and exciting! It was good you got your break from the training to go back home and attend this celebration. Nganga ako sa mga shots lalo na yung moving- ganda bro! Merry Christmas! 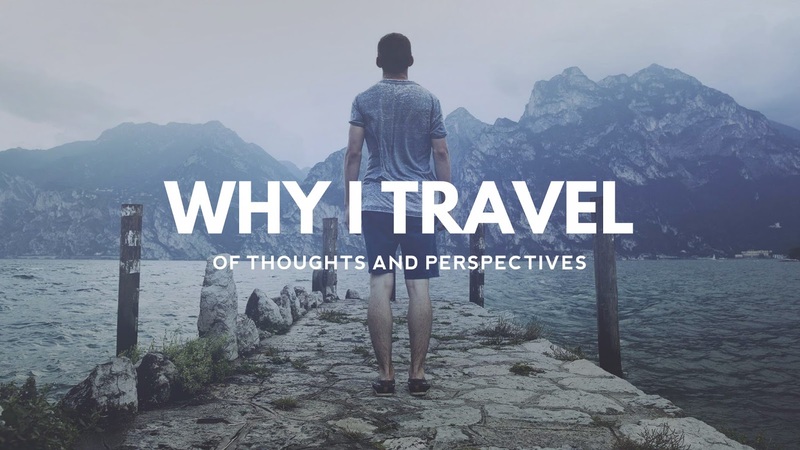 I grew up in Davao and the last time I was there was in February of 2007. How time flies! I always miss Davao. I love the city so much that I am looking forward to my next vacation there. 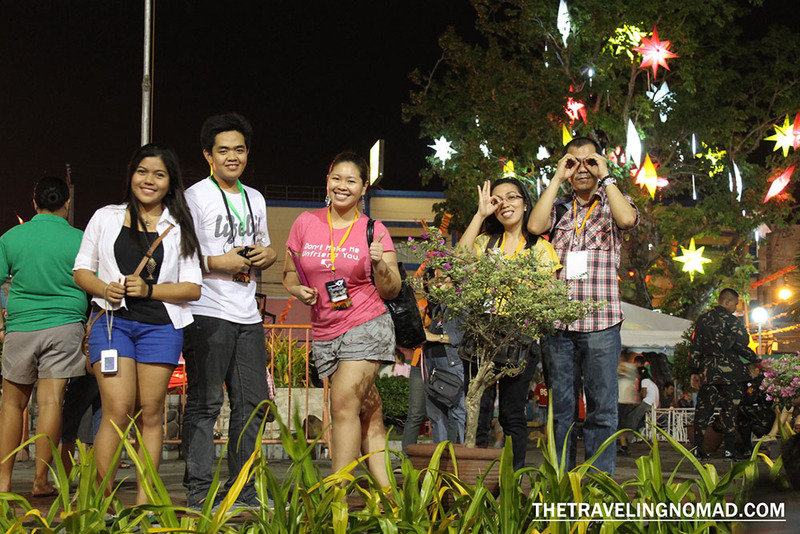 Celebrating the holidays in Davao is indeed a peaceful one. How I wish I can be there Christmas 2013. That would be awesome! not yet been to city hall... Merry Christmas. Yahweh bless. 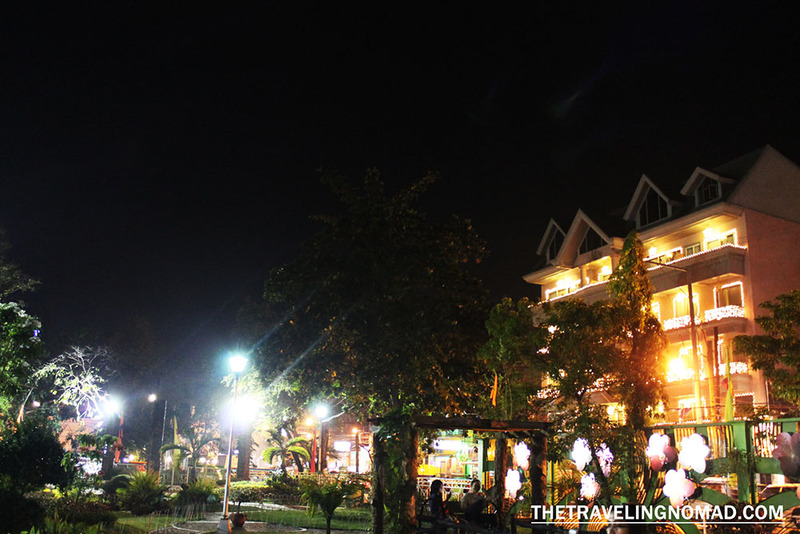 Davao is really a cool place to live! The pictures were all good especially the moving pieces. 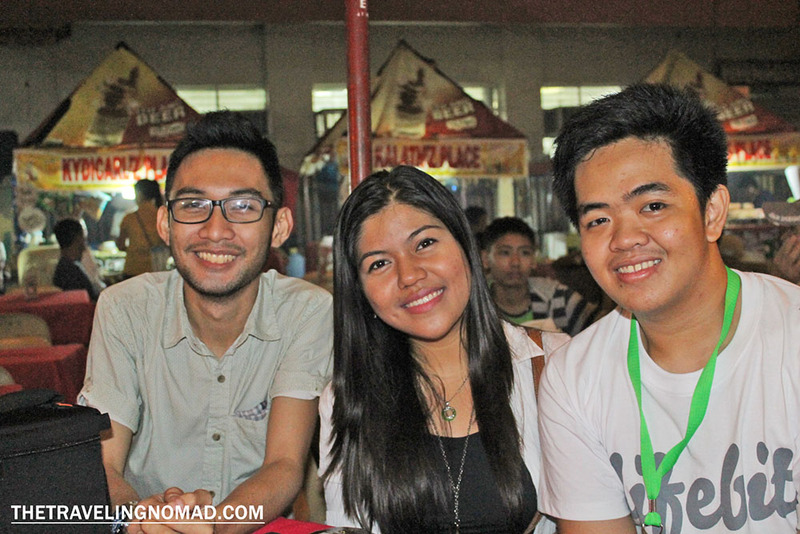 Keep on promoting Davao City! 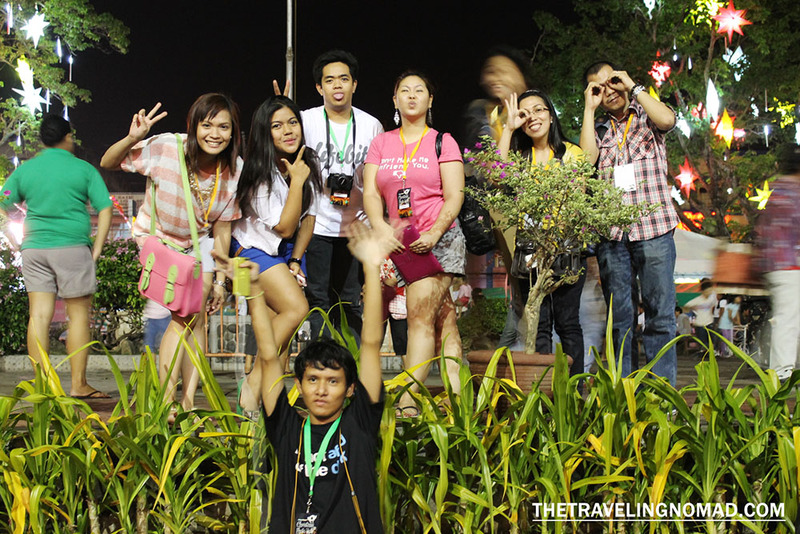 Have a great 2013 to all bloggers!